Back in 2007, I moved to Siesta Key in Florida. A birder at heart, I loved all of the species I was able to view year-round. I especially liked seeing the migratory event twice a year. I hooked up with a few other bird lovers and joined a Yahoo group that alerted its members to sightings around town. I learned quickly to keep binoculars in my beach bag. The beach bag traveled with me, so I also kept a set in house. Time passed and my Birding Life List grew. I joined http://www.myfwc.com/ and the Wings Over Florida program. I made it to the second level, “Florida Scrub Jay” (150-249 Florida species), before moving out of state. I’m not far from the “Black Skimmer” level and each time I return to Florida for vacation I try to add to my list. My passion for birding led me to instruct some 4-Hers in the club my children belonged to. We took field trips with members of the local Audubon group to spot birds and teach the kids about these wonderful flying creatures and the importance of conservation. I learned about shore birds and was alerted to the fact that they nested on the beaches and usually hatched at a time when crowds of people were expected: Memorial Day weekend. The local Audubon group set out annually to find the nests, mostly scratches in the sand near the dunes, but sometimes not. They roped the areas off to traffic and posted official signs warning people to stay out; birds are federally protected. Ropes and signs don’t always work; in fact, they usually don’t. So those in charge began a “Chick Sitting” program. I volunteered. 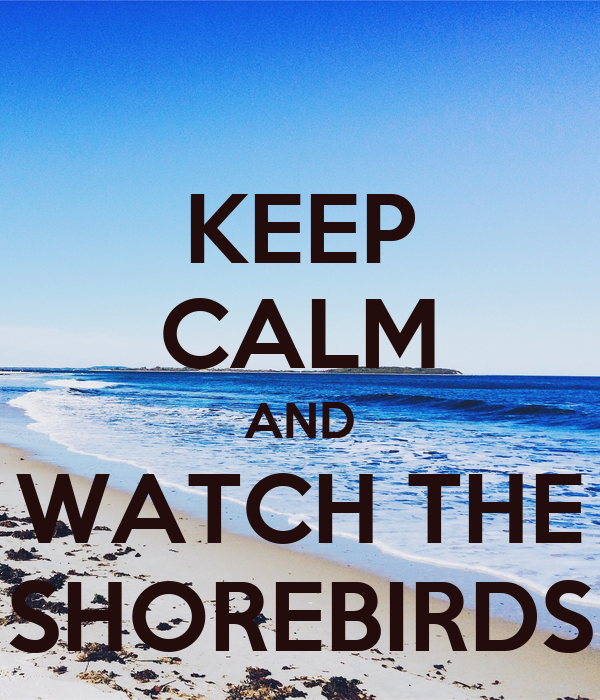 Chick Sitters basically educate the beach-goers about nesting birds, the ropes and the need to respect the area. They work in shifts throughout the weekend, sometimes extending beyond the weekend (before and after) depending on expected hatch dates. So, I am a Chick Sitter. I volunteered during the nesting and hatching season of the Snowy Plover. During the busy beach times, when the birds are most vulnerable to lost eggs and lost chicks, I volunteered to sit nearby with a handful of pamphlets and when I saw people getting too close to the ropes, I’d talk to them about what was on the other side. I found a few surly people but, for the most part, folks liked what we did and showed respect for the area while they enjoyed the beach nearby. Sometimes, if the nests were easy to spot, I’d hand them my binoculars so they could see I was being truthful. Kids loved it. Parents loved that the kids were excited. I’ve moved away but still, in my heart I Chick Sit, which is why I’ve created “Save The Chicks”. While organizations, private and governmental, all over the country work on bird conservation, this site is determined to collect information from as many of these as possible and post them here for you, the reader, to enjoy. You may even find a chick sitting opportunity in your area. I’ve created a logo using my first initial “e” with plans to make a brand so fellow birders and chick sitters can spot each other. I am writing a curriculum program for school-aged children and one for adults to educate people about shore bird nesting. I am building an art market using the logo “e” bird with plans to give a percent of proceeds to groups around the country that need a little bit of extra funding for their programs. Join me and support this cause. Sign up for an email subscription to this website at the top right of this page.